...this would be the topic late-season in 1971. Obviously not your typical 5.0 liter svelte road racing sedan, as a positive it didn't have parallel leaf springs holding matters up in the rear. ...this would constitute my much-massaged 1:25th scale project. The body, bumpers, tail light lenses and decals are from a Scale Coachworks release of which maybe 50-70 examples were made. The shell is based on the old AMT annual release, while the model was sold with what would seems to have been a Modelhaus '64 Tempest hood which would be sans faux hood scoops otherwise witnessed on a like-year GTO. Should one compare this photo to other examples of the Scale Coachworks body online, one will note that I've filed off a lot of material consistent with reshaping the openings and softening the flares to come up with what is seen. On a happy note, it can be said that I didn't have to add anything here, with the as-delivered shell only requiring a lot of referral to period photos to largely make right. Other things discerned and in brief then. Tires are ancient MPC Goodyear Blue Streak NASCAR tires in the same size front to rear. Wheels are resin clones of Jo-Han Javelin-sourced Minilites with turned aluminum outer rims sporting a taper. Grilles are Lindberg items, while the interior panels and dash are sourced from the same '64 GTO tool. The chassis is from a recent vintage AMT '66 Oldsmobile 442 which at least tosses in a good B.O.P. rear end if nothing more. The engine is a mix of recent Pontiac kit releases consistent with coming up with better than the ancient MPC rendition of the 400 c.i.d. 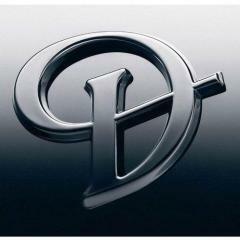 Pontiac. The actual car ran a 303, although this based upon the heavy tall deck block topped with Ram Air IV heads. The oiling system on the actual car is very interesting indeed. Although some discreet exterior lettering is missing on the as-supplied decal sheet, in the main the Scale Coachworks decal art is well thought out. 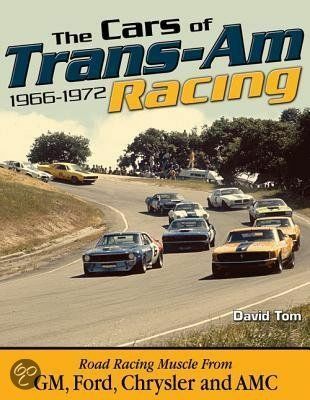 If you happen to chance across a body or whole transkit on sale , harbor an interest in vintage SCCA Trans Am topics, etc., do consider gathering it up for it's an honest effort of something special. This would be a much cleaner rendition of a July '71 Motor Trend race report under hood image taken at the Lime Rock event - the first of the season then. The picture was found on the new PP/SEMA online archive which I recommend to everyone like-inclined. The engine is quite basic from a glance at the exterior, with an old Edelbrock RD4 dual-plane intake, just a single 4 BBL as per the rules, etc. ...rear three-quarter then, with lightly glued on renditions of decal art to come consistent with me getting a bearing on what I'm doing. O.K. - no more diecast stuff here then! Thanks for reviewing this post and thread. ...my usual editing atrocities on show again. I did the art and printed those decals for Coachworks a number of years ago. What is missing? I'd update the sheet if I can. Thanks! Excellent - I'll review matters again and get back to you consistent with trying to help out. For long I couldn't find many photos to aid the process of determining what was run or strictly could be done. This said, time passes and material surfaces that hitherto couldn't be referenced, hence for all evidence to the contrary, some things do improve in this life. I'm pretty sure the 'Tempest by Trans/Action' seen on the flanks of the late-season photo reproduced above didn't make it, while the stylized 'Bob Tullius' i.d. sometimes appearing on the roof was slated here to be stolen from an old Fred Cady Group 44 Jaguar/British Leyland waterslide sheet which also affords a few Quaker State Oil options for clearer lettering, and alternate sizes too. Sorry I can't reverse the digits on '44' when I type such to be fully respectful! I suspect in-period Tullius just showed up to drive the car and carried a decal on this person for just the occasion. Also and while most builders might not strictly miss it, for long the car wore a Casper the Friendly Ghost motif on each respective C-pillar after it was sold and ran A-production. In truth I can't consider such vital, but maybe locals would? And in a toss away sense, black and white Goodyear 'diamond' logos again seen on the late-season image aren't all that common and would be appreciated. Moving along, the O.E.M. vinyl tape graphics simply reading GTO across the back right and done in black might come from a MPC '71 GTO rerelease trusting I've saved and isolated such. Continuing, an obscure decal from an obscure local firm known as Diamond Racing Pistons, typically placed on the hood corners as a pair and being mostly orange, would also be sought. This one is likely impossible given I can't come up with the graphics. Then-situated in Mt. Clemens, MI. and sometimes identified as 'Diamond Racing Engines', you'd think I could do better given the locale of where this firm conducted business is not more then six or seven miles away from where I sit! ...oh, and here would be a close-up of a license plate done up with what was likely a mix of period Trans Am and maybe GTO Judge art. The pit lane scene is from St. Jovite, while the clearer image is from the car before it was recently restored. ...like my models, I include a great many mistakes and often have to address them. I was involved in both the original car, and consulted with the new owner, John Hildebrand, in Northern California during the restoration process. A couple of corrections: The car was built at Herb Adams' home in Waterford, Michigan, not Rochester, Michigan. It definitely was not a joke. In the aftermath of the tragic death of Jerry Titus during a practice session at the Elkhart Lake Trans-Am race in 1970, Herb and fellow Pontiac engineers wanted to build a Firebird, but when their management got wind of the project, made it clear that the corporation viewed the idea so negatively that anybody involved would lose their jobs. Why? In this era, GM had a no racing policy, and whether or not this was a privately funded on their own time effort, it would likely be perceived by the auto racing community as a stealth factory effort. 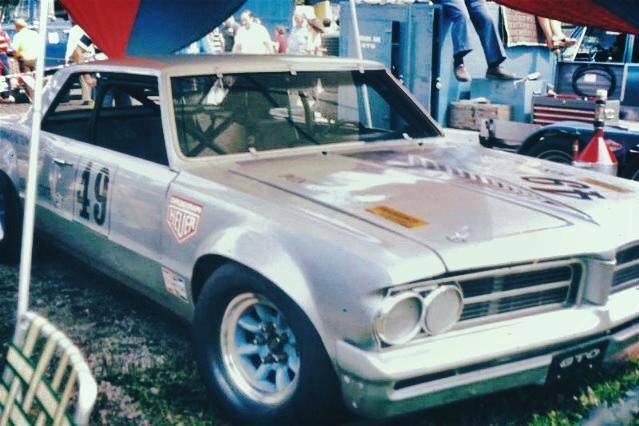 Herb already owned a 64 Tempest LeMans, which in 1964, was the same model that the GTO option was based on. In later years, the GTO became its own model, but in 1964, it was technically an option. When the GTO option was created in 1964, Pontiac actually filed the FIA homologation papers to qualify the GTO as an FIA Touring Car class race car. Later, in calendar year 1965, Pontiac filed the FIA paperwork for an additional homologation for the 1964 model GTO as a GT car. Since the SCCA Trans-Am rules required FIA homologation as a Touring Car, the car qualified as a legitimate Trans-Am race car. 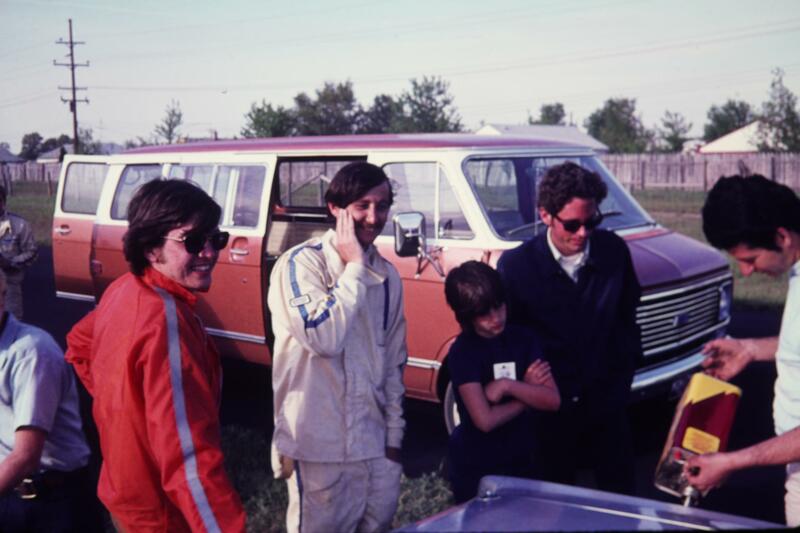 The car Herb owned had been driven 70,000+ miles by his parents, its first owner, and his wife, after he bought it from them, before he turned it into a budget A Sedan class racer at the local Waterford Hills race track. The car was restored beginning in late 2015, and debuted at the Monterey Motorsports Reunion in August, 2016, where it finished 6th out of 38 cars. There was no Trans-Am class in 2017, but in 2018 it finished 3rd. It also won the Vintage Trans-Am race, which was a Sunday preliminary event at the Sonoma Raceway (Sonoma, California) IndyCar finale in September, 2018. A picture in Victory Circle is attached. 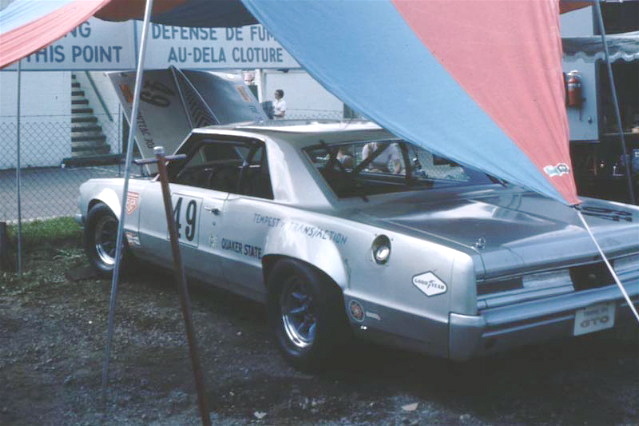 In its only year as a Trans-Am racer in 1971, in the dry, when it finished, it ran in the top 4 or 5, finished 4th in the second race, and had two 5th-place finishes. Engine reliability was an issue. In the rain, it was two seconds faster than all the competitors. Having been heavily involved in both the original effort (although I was not a Pontiac employee), and working with the car in the vintage events since restoration, my personal opinion is that the car had a few inherent disadvantages compared to the Mustang, Javelin (which in 1971 were getting far more factory support than all other entrants) and other competitors. The disadvantages were aerodynamics, and weight distribution (although it was very close to the minimum weight, it was, we think, front-heavy). It also had a disadvantage compared to cars with leaf spring spring rear suspension in managing wheel spin when accelerating out of a corner. It did not have a power disadvantage. But in hindsight, its biggest weakness was the lack of development and test time compared to the Mustangs, which had gone through several years of development, and the Javelin (s), which we were told did heavy testing at some, maybe all, of the tracks before the event. Between a limited budget, and equally important, managing limited and monitored vacation time to get the the events made it infeasible for us to do anywhere near as much testing. One final point about the details on the car. Since most of the published photos of the car were from the early season races, they show the wheels with black centers. Beginning at Elkhart Lake, the wheel centers were painted blue, which is the way they were on the restored car. As restored, the car uses exhaust pipes that exit straight out the back running under the rear axle. This configuration was used mid-season in 1971. One significant difference between the car as raced in vintage events from 1971 is that, because of an agreement among the competitors that race in the vintage class, the tire sizes are the same among all competitors. The rear tires used are smaller in both width and overall diameter than what was used in 1971. In 1971 Goodyear and Firestone made front tires that were smaller than the rears. The Tempest used the rear tires on the front. As raced in vintage events, the Tempest uses the smaller front tires in accordance with the agreement among the competitors. Consequently, if you look at the pictures of the car today, the flared wheel arches look disproportionately large. The most recent print treatment I'd known of was the M.M. 'Mike' Matune Jr. article published in Nov/Dec 2016/6 issue of Vintage Motorsports, while otherwise a single High Performance Pontiac article from the September 2012 issue constitute the best historical treatments as of late. The September 1971 issue of Motor Trend is vital, while these and scattered period stuff constitutes most of what I had to go on. I still wish there were more and better written treatments of the history of the series, and while photo reference tomes with brief blurbs help and are appreciated, better researched and more thorough records are most desired. I really appreciate your taking the time to flesh out what you could. I think of some recent Car Tech-published titles that at times seem a little raw and undisciplined, although I rather hear from unpracticed voices from the period across scenes than to never listen to what they can share for having been directly involved. By way of example, who wouldn't want to have the most recent history of Kar-Kraft by Charlie Henry on their shelves? On the other end of the spectrum, I really like the Chuck Cantwell (with Greg Kolasa) remembrance published by David Bull which is certainly a work of quality. If one is fascinated by factory-backed Shelby American/Shelby Racing Co. SCCA sedan racing across categories through the '68 season, the Cantwell publication titled simply Shelby Mustang GT350 is a must have. 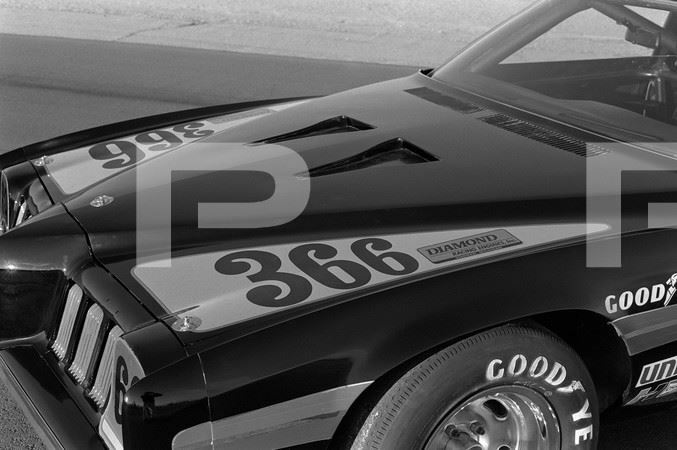 It would be a mistake to miss the period Trans Am content to be found within for simply assuming that material covered is restricted to the GT350/GT350R programs. 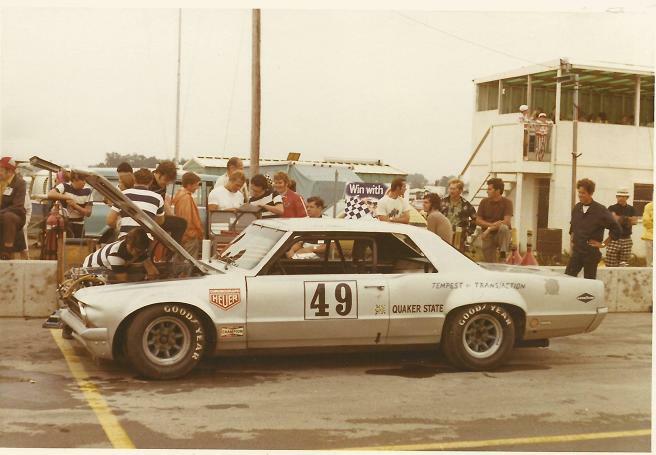 As for the few period SCCA Trans Am titles available and/or slated to come, time passes, memories fade, and tales that might otherwise have been recorded may not be. At present I hardly want to look at updates of various FB vintage racing pages for fear of learning of who will have died next. A lot is being lost and just huge gaps will exist in relation to what once was. I've tried to collect all that I may, although a lot is scattered and demands of the enthusiast much persistence to build up a collection of primary materials. Sorry for the slip up in relation to the Rochester, MI. angle. I alternate between projects, hence focus is a challenge to maintain. Moving on, almost in an odd ceremonial sense, I tracked down the period home of Herb Adams to see if was still recognizable as per the September 1971 Motor Trend magazine treatment where the car is witnessed being serviced; i.e. the Gray Ghost with it's front clip off, kids bikes strewn about here and there, etc. Indeed - the house still stands and is about a mile or two from Waterford Hills Road Racing/Oakland County Sportsman's Club off of Dixie Hwy. which is relatively close by. Further, for tracking down the address of where inquiries should be mailed when the car was put up for sale with delivery after the M.I.S. race, I spied an indistinct apartment block near Somerset Mall (ahem - now the 'Collection'!) off Big Beaver/16 Mile Rd. ...the early season configuration then. The post coupe framework is still seen (soon to be cut out), as are the Minilite wheels with spokes finished in black. Notice too the transition from the smaller GOODYEAR tire lettering/i.d. seen here to the larger 'T.V tire' lettering on the sidewalls coming into use as the season progressed. ...always editing because I must. You are right about Mike Matune's article. I was the informal PR guy on the restoration, and approached both Mike and Vintage Motorsport about doing the article, and Mike and I and others involved including Herb Adams, Joe Brady, and Bob Tullius had many conversations. The current interior including colors, the checkerboard sanding on the dash (in the spirit of the much finer pattern GTO production dash) is quite accurate. If you have specific questions, fire away. The posts got cut out after Lime Rock. I think the fact it did so well inspired the team to really push on, although still constrained by a very limited budget. Getting it down to minimum weight was the reason the posts were removed. The blue paint used in the trunk, underhood, and interior, and the wheels was picked to match one of the Pontiac engine paint colors (there were several) but it was actually an aftermarket paint, and Tom Nell, who was half of the powertrain team told me he painted the engine with rattle can engine paint from the auto parts store. The fiberblass on the floor was not a patch. It was an insulator added, I think, after the 2nd race at Bryar, which would have been the first race where heat was a problem. Foam, if I recall, an expanding urethane, was poured, then cut to make it sort of flat (with a hand saw), then woven fiberglass cloth was laid on top and painted the same blue. The decision was made during the restoration to leave it out, at least for now. Also, if you are trying to get the position of the various sponsor stickers (Classic Wax, Heuer, Quaker State) exactly correct, they got moved around. The interior panels were production ones. The original car wasn't a black interior, as I recall, it was dark green. My recollection was they were painted with vinyl upolstrey paint (again, from an auto parts store). The restored car has reproduction panels. I have attached a poster I did in August 2016 which has some additional history and a picture of the car in A Sedan form from late 1970 at Waterford Hills, where it won the Detroit News Trophy big bore production race, with a low-budget 303 built by Jeff Young, a turbo-400 automatic transmission built by Tom Nell, and Herb Adams driving. It beat several Corvettes, including at least one 427 driven by a Chevrolet engineer (not the Owens-Corning cars, which I expect would have been faster). Nice write up on the Gray Ghost in David Tom's book but I think Harry can provide all the information you need Mike and then some. I am glad you guys appreciate the input. The folks involved in the original car aren't going to be around forever, and this place is still likely to be searchable somewhere on the future Internet, so for me it's a good place to capture some of the details. Mike Matune's article is really accurate because he had access to everybody involved. The only thing wrong, which several of us missed proofreading it, was misspelling Dan Hardin's last name. Those of us involved marvel at how much attention the car got over the years, and we chuckle about it is going to outlive all of us. And we are humbled by those of you that are honoring its past by making accurate models of it. If you guys are interested in some color on the team, there is a book, written by David Barnes, entitled, Blood, Sweat & Gears: The Story of the Gray Ghost and the Junkyard Firebird. David was general counsel of American Axle & Manufacturing, and read a piece in the employee newsletter about Herb Adams, who also worked there at the time. David had always wanted to write a book, and tracked Herb down. His original idea was to write a documentary, but he changed his mind to create what he calls, fact-based fiction. It is written more in the style of a Hollywood screen play but the names of those involved, and most of the anecdotes are real. I've met David Barnes here in SE Michigan, have the book, and had both Herb Adams and him sign my copy - hence task accomplished! I too wished for more of a documentary tone to the tale articulated in Blood, Sweat & Gears, but then it wasn't my project. Barnes related recently that there has been interest evidenced in making such into a film, or that a film option had been purchased. We'll see then, while I too have the Dave Tom technical history of the cars and teams involved - thanks J.C./AFX for drawing my attention to such. Prior to the sale of the Gray Ghost to B. Hildebrand, I visited the car and the then-current owner in nearby Brighton, MI. where I met and conversed with Dave. I had in hand a somewhat crude iteration of the 1:18th scale model then, while I took maybe a hundred photos of the Gray Ghost which I burned on a disc and which likely were sent to Hildebrand as he mulled his potential purchase. It's a pretty rare thing for me to be introduced to people so-involved and so-invested, hence the experience from a few years ago rates as personally memorable. I've been scribbling questions down, hoping to keep them reasonably direct so as not to wholly tax your attentions for requiring lengthy answers. Others may well follow if such isn't too much to bear. In early-season trim, would the Minilite wheels be finished in a semigloss high heat black less the machined outer lips? Other thoughts would be that brake dust may have altered or literally colored what is seen in period photographs, while a friend suggested maybe a Dow 7 coating or protective barrier was applied. Along with the application of blue on the undersides of the car, presumably debuted when the wheels were likewise refinished, I'd noted a differential cover painted orange. Was this a later update, or do you recall this as being correct? I didn't notice any evidence of either a transmission or differential cooler being run. Nor did I see any application of heat sensitive 'dots' that might relate what temperatures were being reached within in the style of some Mustang Trans Am entries I've seen. Are my impressions correct then? With regards to the glove compartment-mounted CDI unit, might you recall the original make or finish? I believe period Delco units were black with exposed metal fins, while Mallory units would be red with exposed fins as two options then. For comparing and contrasting materials I have in hand to period photos, was the front bumper subtly narrowed or 'veed'? In relation to the driver's seat, the original spec. seems to have been wholly fabricated from scratch. The abbreviated base and aluminum sides I can make out well enough, but was some structure reused or is disguised for the additions made? I thought it odd that the shoulder harness pick up points seemed located on the parcel shelf. In truth, I don't know if they'd actually be all that much longer if such were secured to the floor, but then again any insight shared would be appreciated. Before they were painted blue, do you recall if the panel work serving as inner fender liners up front was left natural as in being aluminum sheet trimmed and fitted for the purpose? ...and just in passing, I was curious about the sophisticated effort to disguise the complexities of the oiling system; i.e. the discreetly hidden oil tank within the space of the firewall oriented towards the passenger's side footwell, the unusual pan design, the unique pump configuration and function, etc. With dry sump systems allowed for 1971 for pressure upon the SCCA by Penske in particular, is there something missing from the story that would reveal the basis for all the secrecy? I don't know the time line of when the effort was taken up by the team looking into the 1971 season, nor do I know when the SCCA revised it's rules regarding the use of anything but a wet sump system. Such admitted, I was hoping you might shed light on what was both decided on and designed. Again, thanks for all your fascinating insights. May those road racing types looking in profit from your contributions here. ...note the scratch built Lakewood explosive proof bell housing, as well as the odd and severely abbreviated sump. I'm not sure if I'll make up Ram Air IV heads consistent with matching the oval exhaust port detail otherwise desired. ...seen is a scratch built seat, the insulation along the floor, an aluminum bulkhead looking back, as well as what I believe to be shoulder harness pick up points on the parcel shelf. ...tedious, but note the aluminum dash overlay with the flag motif created for first taping out and then scrubbing each element in an alternating direction with a pencil eraser. This thread is a great read of an interesting car from a fantastic series. I have always been a fan of Historic Trans Am cars. All the Pontiac Cars that competed are amongst my favourites. Here goes. If i missed anything, ask again. A key point about the blue paint is that at least two different paints were used, and neither was an actual Pontiac paint. One thing I didn’t know until the restoration was how it ended up silver with a blue interior. Herb Adams had some chartreuse paint he wanted to use, but the team outvoted him. The color scheme choice was to honor a series of lightweight drag racing Catalinas, known as the Swiss Cheese Catalinas from the 1963 model year. There were, I think, eighteen of them, and all but a couple were painted a Cadillac optional paint color, Frost Silver, from the Fire Frost (a Dupont trademarked name, later changed to Firemist). None of those paints are available, but there was plenty of unmolested out of the sun silver on the car (like inside the trunk lid) to match. The color is very close to the modern replica of the Corvette Sebring Silver, which was another Firemist coating. All of those Catalinas had blue interiors. Hence, the color scheme on the Tempest. The blue paint used in the trunk, underhood, and interior was picked to be like one of the Pontiac bluebut it was actually an aftermarket paint. Tom Nell (since passed away), who was half of the powertrain team told me he painted the motors with spray (Duplicolor?) engine paint from the auto parts store. I didn’t learn this until I had spent many hours learning about the various Pontiac engine paints. For the interior, underhood, inner fenders, the frame, and suspension pieces, trunk, and interior, a self-catalyzing epoxy was used. Again, not a Pontiac paint. My recollection is that the inner fenders were painted from the beginning. The fiberglass on the floor was not a patch. It was an insulator added, I think, after the 2nd race at Bryar, which would have been the first race where heat was a problem. Foam, if I recall, an expanding urethane, was poured, then cut to make it sort of flat (with a hand saw), then woven fiberglass cloth was laid on top and painted the same blue. The decision was made during the restoration to leave it out, at least for now. I don’t recall an orange differential color, but in the September 1971 Motor Trend article, you can see it is a light color, but with black and white photos, I can’t tell what color it was. My recollection is that the Motor Trend interviews and photo shoot were done between the 2nd (Bryar, NH) and 3rd (Mid-Ohio) races. The interior panels were production ones, which you can see in one of the pictures from the September,1971 Motor Trend. The original car wasn't a black interior, as I recall, it was dark green. My recollection was they were painted with vinyl upholstery paint (again, from an auto parts store). The restored car has reproduction panels. The current interior including colors, the checkerboard sanding on the dash (in the spirit of the much finer pattern GTO production dash) is quite accurate with the exception of the seat. The original seat was designed and built by Herb, and the frame was fabricated from square steel tubing and sheet metal with rectangular bolsters in the center, spaced with air gaps, and with side bolsters to provide upper torso lateral restraint. John Hildebrand wisely decided to fit a modern race seat during the restoration. The original wheel finish was plain flat black. I doubt very much if it was high temp paint, probably done with spray cans. Other than occasional touch up, The only noticeable change in color scheme was to paint the centers blue. I personally did it with a brush after practice at the Elkhart Lake event. We never ran coolers on the transmission or the rear axle. The ignition system was Delco. The front bumper was mounted closer to the body, so it was modified somewhat. One thing missing from the restored car. We used a simple vertical air dam made out of plain aluminum, which regularly scraped. Later ones had a rubber lip made from machinery belting. The shoulder belts indeed did run to the back. Attaching the belts to the floor is not a good idea because in certain types of crashes you don’t want all of the vertical load on the shoulders. During the restoration, John opted to add a horizontal shoulder-height bar to reduce potential belt stretch. Regarding the dry sump tank, there was no attempt to disguise it. I wasn’t party to the discussion about where to put it, but I am sure they didn’t want it forward of the firewall for weight distribution reasons. I have no recollection if the rules prohibited installing the tank behind the driver. The SCCA rule books are available online if you hunt, but my recollection is 1971 is the first year dry sump systems were permitted. You are right about Mike Matune's article. I was the informal PR guy on the restoration, and approached both Mike and Vintage Motorsport about doing the article, and Mike and I and others involved including Herb Adams, Joe Brady, and Bob Tullius had many conversations. It is 100% accurate except for Dan Hardin's name being misspelled, which those of us that proofread it missed. The posts got cut out after Lime Rock. I think the fact it did so well inspired the team to really work harder, although still constrained by a very limited budget. Getting it down to minimum weight was the reason the posts were removed. Also, if you are trying to get the position of the various sponsor stickers (Classic Wax, Heuer, Quaker State) exactly correct, they got moved around. Also, somewhere mid-season a black dart design was painted in the center of the hood. It was done in, I think, flat black by the college-age daughter of one of the friends of the team. I think that was done at the Brainerd MN race. and found a bunch of photos of the Tempest, including an underhood shot that clearly shows the aluminum inner fenders are painted. Indeed - I too have been busy on the new Petersen Publishing/SEMA Archive, although just as readily I could have missed it for not knowing about it. Thanks for your alert and guidance to this terrific resource so recently made available. Mike K, I am attaching a couple of pictures, among several my dad took at Waterford Hills during the session where A.B. Shuman drove the car. If you know the end of the article, you now the story behind these. I will leave it to you to tell the rest of the readers about that. I am the one in the dark short sleeve shirt and Ray Ban sunglasses in the picture with the car. PLEASE NOTE THE IMAGES ARE THE PROPERTY AND COPYRIGHT OF H QUACKENBOSS AND ARE PROVIDED WITH THE RESTRICTION THAT THEY NOT BE POSTED OR USED IN ANY OTHER PUBLIC FORUM OR VENUE, INCLUDING FACEBOOK, INSTAGRAM OR TWITTER, OR ANY OTHER WEBSITE. The article remains the best period record of the genesis of the effort, including who was involved, technical specifications of the Gray Ghost, etc. Know that I really appreciate the privilege to witness the photographs, while quite a surprise then to warm up the computer and have these waiting. One final anecdote about that visit by Motor Trend. As you know, I wasn't in any of the photos or mentioned in the article, and lived and worked in Ann Arbor for a small computer company. The story in Blood Sweat Gears about how i got connected to the team is wrong, and if you read the epilog, it wasn't until after the team broke up that I went to Honeywell. The day the pictures were taken for that article, Herb and Sandi (Mrs Adams) had A.B. Shuman and I cannot remember who else from Motor Trend at the house, and invited me to join them. I was still only a few months from getting to know those guys, but in hindsight, I think Herb wanted them to meet me (and vice versa). It was probably a Thursday, and the Waterford session was that weekend. We wre sitting around the dinner table, which was directly over the garage, and A.B. or the other guy asked, "So tomorrow, do we get to go see where the car was built?". It was apparent that the Motor Trend believed the gossip going around that it must have been built at Pontiac, and this whole story about it being built in Herb and Sandi's garage was a baloney cover story. Herb didn't respond to A.B., instead he nodded at me. "Tell'em. Harry." "Downstairs." I pointed, "It was built in the garage below us." A.B. grinned at me, "So the story is true?" at first, testing me. We all laughed. And A.B. changed his whole approach to the article. For perusing a copy of the Sports Car Club of America General Competition Rules 1971 edition, indeed - dry sump systems were legal for the coming season. The wording of such is as follows: "Any oil pan (sump), oil pump(s) or oil pick-up is allowed. Dry sump systems are permitted provided the oil tanks is located forward of the engine compartment firewall." It seems both the AMC Javelins as well as the Gray Ghost blended the oil tanks fitted into the structure of the firewall, while in the main, all was now permitted. In passing, another article that may be sought out not strictly period is the April 2000 issue of Car & Driver which has a Tony Swan-penned article within titled Return of the Gray Ghost. Across the space of it, Herb Adams relates in brief the history of the effort while also having been reacquainted with the car which had received a light mechanical refurbishment dating back to 1996. 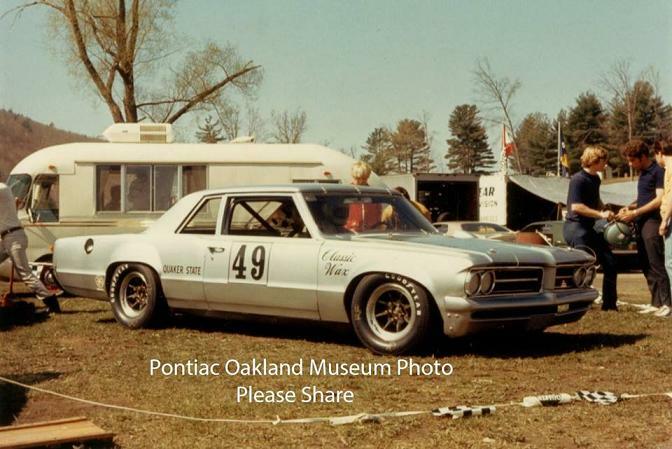 If my memory is to be trusted, Pontiac was the title sponsor of the Meadowbrook Historic Races at Waterford Hills Road Racing that year, and both happy and fortunate I was to see it then. For a few brief years a 'Trans Am Tour' made up of a few period cars came through the venue for it's historic weekend tied to the local concours event, but so soon the big cars (i.e. 02 Trans Am sedans, F5000, Can Am, and even the odd F1 car) effectively vanished from both the event and venue. Waterford Hills is a fairly tight club circuit, and hence maybe word spread that bigger cars wouldn't strictly be a home here? I'm not certain why matters faded a bit in the coming years, while organizational infighting and battles as to the makeup of the area concours scene, want of event sponsors, and declining economic times were surely factors. Oh, and just in passing, for a little work, know that the poster produced for the event was Trans-Am themed that year, and hence carries a bit of interest even as the Gray Ghost does not appear upon it. ...trying to accommodate the discreet engine set back, I tried to reproduce what was done. 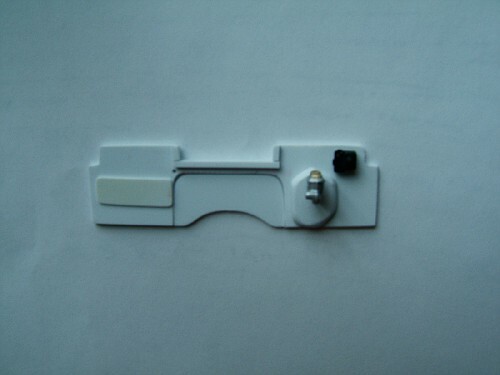 Some ERTL Authentics '67 Impala SS 427 parts were employed, while the scissor hood hinge assemblies will very likely be stolen and employed from this same tool. I couldn't find the correct intake off the shelf, and hence I created my own. Others would likely make quick work of this for employment of 3D printing technology, but alas, this was all I could do in the moment. ...and while a little constricted and limiting for unwanted structure looking further in, this is the trunk taking shape. 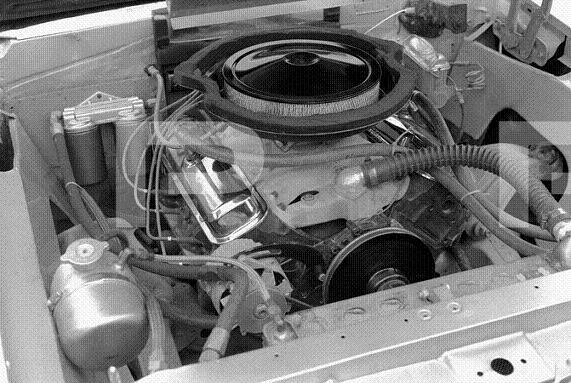 A Firestone fuel cell was fitted with a pair of Holley fuel pumps mounted low and at the forward corners of the cell positioned largely out of sight here. In period photos mysterious housings are seen beneath the car in this general vicinity, while it was neat to discover what these surrounded for making an inspection of things. I took photos of everything and created said pockets/housings, although all that was done isn't strictly discernible here. Some material was cut away from the trunk floor to accommodate shock absorber service from the top, although at present I'm not sure I add such. Some accessory decal art has proven difficult to find, although one of the toughies if you will has been isolated for what is seen further below. Further, a new 1:18th scale Sun Star '64 GTO was found and ordered to allow some flexibility concerning aspects of that build. In addition a set of ACME 1:18th 'Heinz Camaro' wheels and tires were ordered so that I'll have a total of four same-sized tires, admittedly these bearing the late-season 'T.V. tire' lettering. I have another set of like-lettered tires, albeit these were of differing size front-to-rear - hence the need for a pair of the rears of identical spec. to come up with what is needed. The rims and extended Minilite lugs are being cleaned up and fabricated and final finished, hence when the wheels/tires are added, the total appearance of such will certainly be different. I'll try to finish the wheels from behind a 'house blend' of magnesium alloy, then paint the face of each wheel in a semi-sloppy sense from the front with the aim of allowing a certain amount of black to pass between each spoke to haphazardly coat some of what is lurking behind. On the 1:25th scale front, some Bill Hirsh early Pontiac '59 -''65 light blue paint will be ordered, almost my default given what other shades I've found seem too bright or intense by way of contrast. Three variations on the shade thus far tried and shot, and three failures I do believe. I might well pick up a Revell '66 GTO for I don't know what the tool has on offer, while a roll cage assembly still stands to be worked up. Also, it seems that while early sixties renderings of racing exhaust headers exist aplenty, reasoned later iterations of such are few on the ground. Researching this, I hope to come up with something decent soon. Seen then are a pair of images useful for guidance concerning the reproduction of the hood-mounted Diamond Racing Engines/Mount Clemens decal employed late season as a pair. One is used to establish the color, the other, the art itself. Tedious, but also rewarding if I can act upon such. ...the subject in the paddock at '71 St. Jovite then. 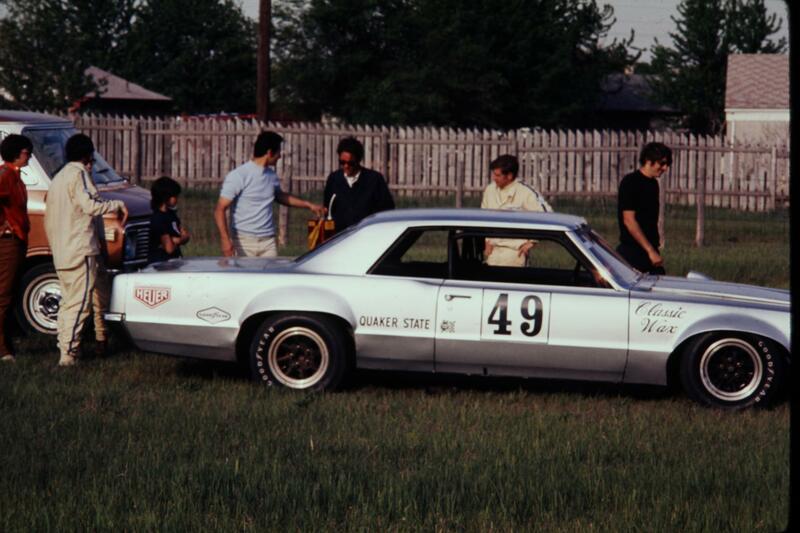 ...this the Team Associates Grand Am Winston Cup/NASCAR effort from '73. I hope the art hadn't changed much! Mike and Harry: Would you think that they used a similar dry sump pan on the 73 Grand Am? I can see the oil tank mounted in the same area on the grand Am as well as the remote cooler up front and dual remote filters. Any idea which side the dry sump pump would be on? I don't see a Gilmer belt on the engine photos on the Grand Am that would indicate a separate dry sump pump. Regarding the dry sump, Mike K has it right but here are some more details. The first motors in the Tempest were actually wet sump, then we went to a dry sump. The dry sump system used the same mechanism that was described in the 2nd part of the Pioneers of the Pontiac V8, which I believe is still available online at hotrod.com. This design was also frequently mentioned in articles about the later SD-455, available in the Firebird and Pontiac Grand Am in 1073-1974. 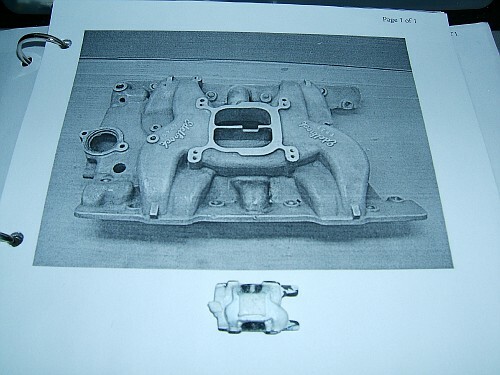 The SD455 block had a provision in the casting, but required machining and adapting a Turbo 400 automatic transmission pump to be adapted for the pressure side of the dry sump. The ones use in the Tempest (later 1971), the black Firebird driven by Tony DeLorenzo (Lime Rock) and Milt Minter, and the Pontiac NASCAR Cup Grand Am were based on special cylinder blocks originally developed for 366 CID (6 Liter) NASCAR rules, which we used in the 1973 NASCAR Grand Am, and in 303 CID configuration for the Tempest and Firebird. Actually, we ran one 1973 Trans-Am race in the Firebird with a 366 CID motor, which was legal under the much more liberal 1973 rules, which also allowed 427 CID Corvettes. These motors also had the provision for the dry sump based on the Turbo 400 Transmission pump. the pump is located on the rights side (passenger side) at the back of the block, and it is driven off of the camshaft. The Tempest today has one of those motors. All you see externally is an AN fitting coming straight out of the block, with a line to the dry sump tank. I found the hotrod.com article and saw pictures of the rear of the block area where the drive gears were for the pump. I just wondered whether the pump was visible from the outside of the engine or not. Now I know! Thanks, Harry.